Now after the glory of gold enter. 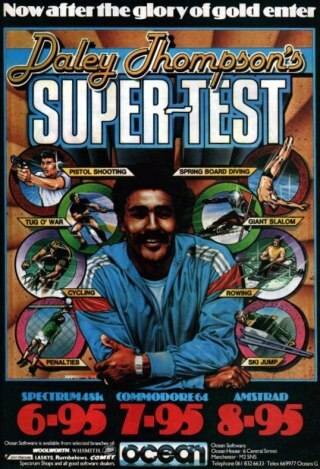 Daley Thompson's Supertest is an eight event game. You have four lives and must pit your skills and agility against the computer and the clock. Failure to "qualify" in any of the events will fofeit a life. When you complete all the tests the day restarts and you can compete again at a more difficult level. GOOD LUCK!